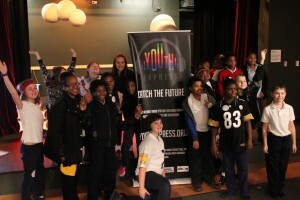 It’s been an incredible week for youth voice in Pittsburgh! Thank you to all the youth and youth advocates for their participation! Congratulations to Marna Owens and Amma Ababio! Their #BlackGirlsMatter documentary produced in our studios in collaboration with our “Green Compass” program will be airing nationally on PRX. Last Friday, our neighbors at Allegheny Traditional Academy stopped by our studios to record their original pieces about self-love and get a behind the scenes look at radio broadcasting! On Monday morning, we welcomed students from the region’s premier provider of independent living programs for at-risk teenagers and young adults ages 16-21 – for a studio workshop. Check out Ward Home ! 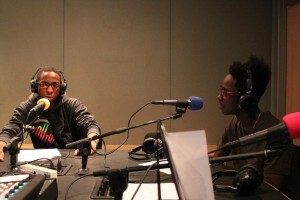 Also, in celebration of MLK Day, we hosted over 20 teens in-studio for our 3rd annual LIVE “Streaming Justice” show. The days program featured students from North Allegheny Senior High School, Woodland Hills High School, Taylor Allderdice High School, Propel Schools, Pittsburgh Creative and Performing Arts High School, Barack Obama Academy of International Studies, City Charter High School, Pittsburgh Westinghouse Academy & Oakland Catholic High School. As usual, we’ve also been capturing youth voice in the field at Woodland Hills, Pittsburgh King, Clairton, Pittsburgh Perry Traditional Academy, Jeannette High School, & Propel Andrew St.